Immunohistochemical analysis of paraffin-embedded human spleen tissue slide using 16668-1-AP( CD154 antibody) at dilution of 1:200 (under 10x lens). 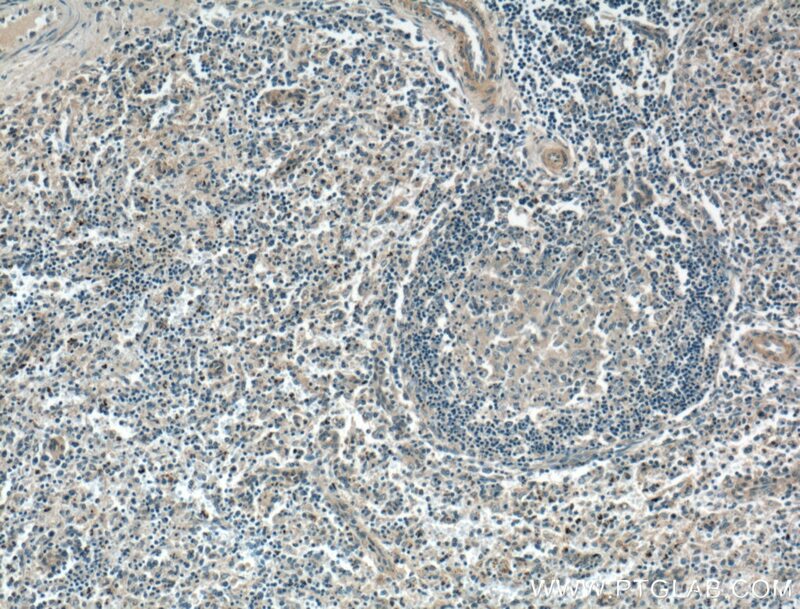 Immunohistochemical analysis of paraffin-embedded human spleen tissue slide using 16668-1-AP( CD154 antibody) at dilution of 1:200 (under 40x lens). 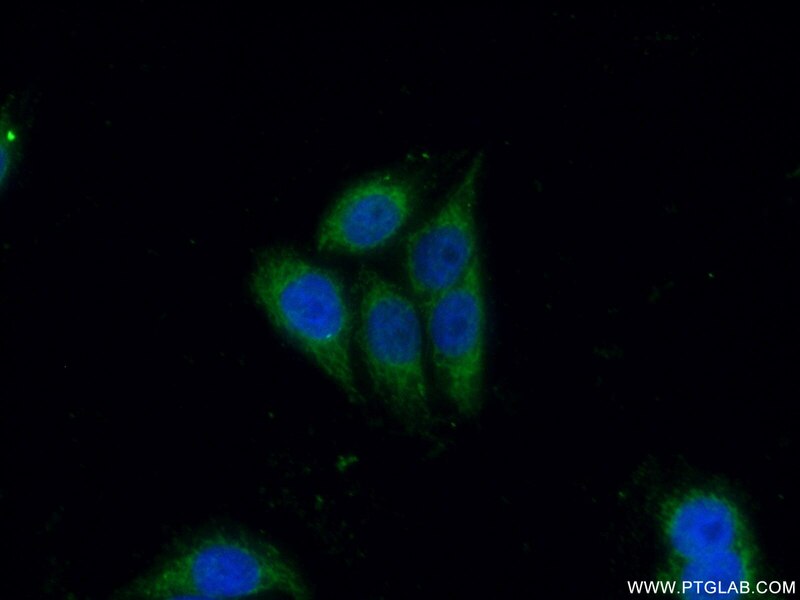 IP Result of anti-CD154 (IP:16668-1-AP, 4ug; Detection:16668-1-AP 1:1000) with Jurkat cells lysate 3200ug. The CD40 ligand (CD40L, TRAP, CD154), a member of the TNF superfamily of ligands, is expressed as either a 33-kd transmembrane homologue or 18-kd soluble form (sCD154). 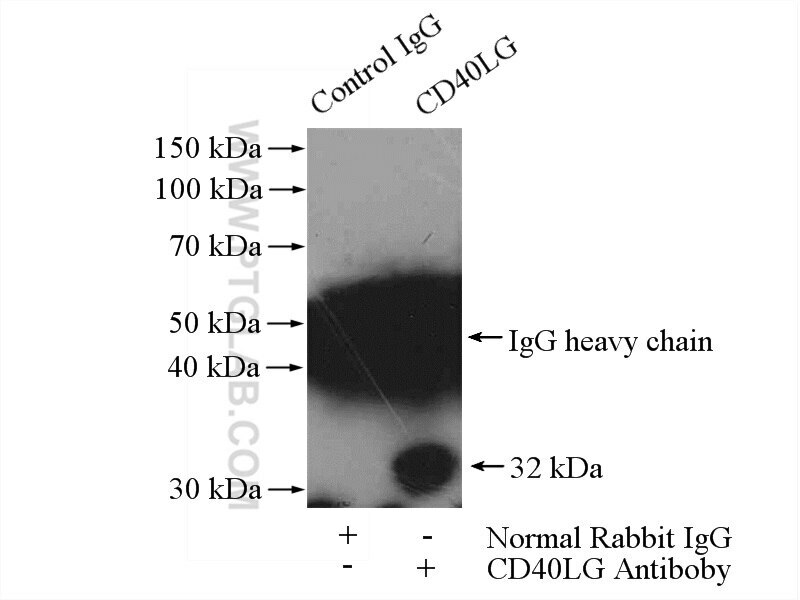 CD40L is primarily expressed on activated CD4+ T cells and on a small proportion of CD8+ T cells and platelets. It binds to CD40 on antigen-presenting cells (APC), which leads to many effects depending on the target cell type. Recent studies have suggested that CD40/CD40L interactions regulate oxidative stress and affect various signaling pathways in both the immunological and the cardiovascular systems. 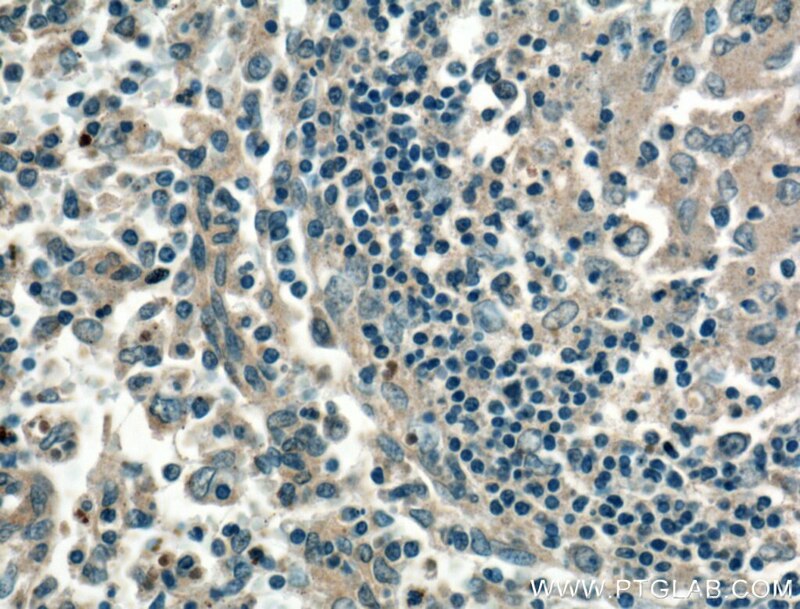 The CD40/CD40L system is also involved in tumorigenesis. CRP promotes atherosclerosis by increasing LDL transcytosis across endothelial cells. PKCβII-mediated cross-talk of TRPV1/CB2 modulates the glucocorticoid-induced osteoclast overactivity. YAP1 is essential for osteoclastogenesis through a TEADs-dependent mechanism.